Nutrient rich topsoil, organic compost, mushroom compost and specially mixed garden soil are a must for a lush garden. The right mix of nitrogen, phosphorus and potassium can be the most important component in a successful garden. Invite us out to see your property if you would like us to apply our special layer of nutrient rich soil. 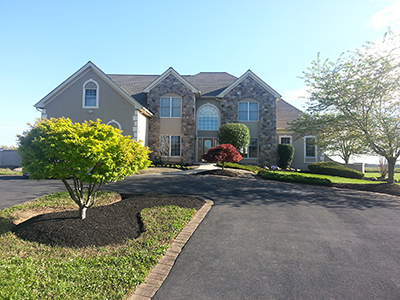 Our landscaping services team will evaluate your soil and your plantings. We will mix a special batch for your home & we will apply both the soil and mulch. All you do is add water and enjoy the beauty. If you like getting your hands dirty and wish to spread the mulch yourself, no problem. Black, red and brown dyed mulch is delivered to you. You just tell us how much and when you need it delivered. Use our mulch calculator to figure out how much you want to buy. We also deliver pea gravel and landscape stones. 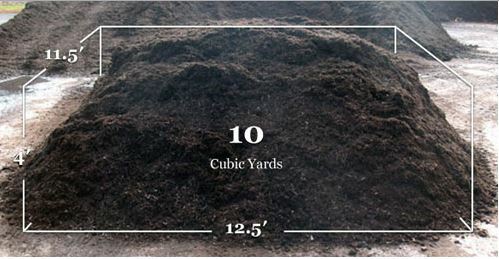 Need to figure out how much mulch you are going to need? Use our Mulch Calculator! Enter the dimensions for your garden and click the “Submit” button.